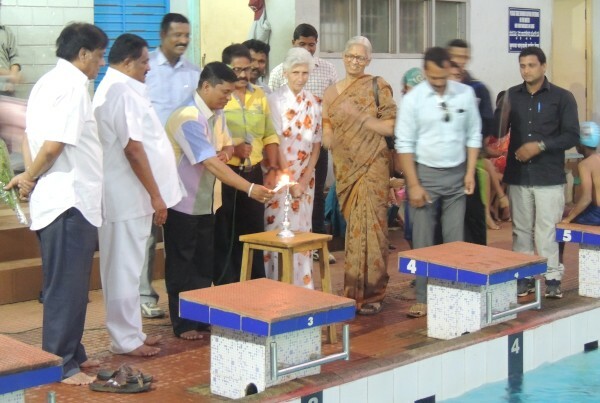 The Free Swimming Coaching for differently abled and Underprivileged was inaugurated by the Shri Mahesh Naik Honorable Mayor of Belagavi and Shri Sambhaji Patil, MLA Belagavi South. More than 200 children from various categories like physically challenged, Blind, Mentally Retarded, Deaf and Dumb, Orphans, Tribal, Child Labour, and financially backward are participating. All these participants are provided with free Transport, Kit, Staple Diet and Health Checkup apart from free Swimming training. About 30 coaches are working hard to make this 14th Swimming Coaching successful. 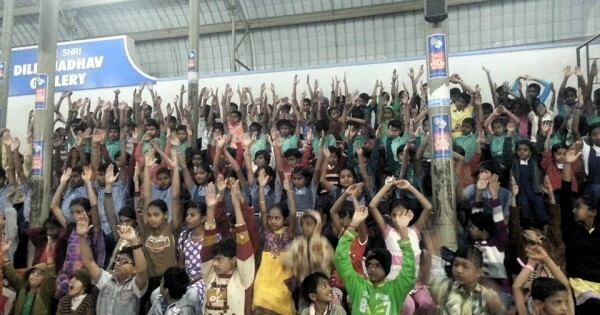 This coaching camp is being conducted in association with Rotary Club of Belgaum, Belgaum Royals Round Table – 205 and LEAD the Society for the development of Disabled and Underprivileged at Rotary Corporation Sports Academy’s Swimming Pool, Goaves, Belgaum. MLA Shri Sambhaji Patil appreciated the efforts put in by Swimmers Club Belgaum, Aquarius Swim Club Belgaum and Rotary Club of Belgaum for providing Free Training to these children and further he was very happy to see various developments taken in the premises made by Rotary Club of Belgaum and assured all the help and the support from MLA fund for their future projects. Swimming coaches Kallappa Patil, Anand Patil, Prasad Tendolkar, Jagadish Gasti, Rajesh Shinde, Raghavendra Anavekar, Aatish Jadhav, Govardhan Kakatkar, Vishal Vesane, Akshay Bhatkande, Mahesh Pawar, Deepak Anavekar, Yogesh Kulkarni, Vivek Pote, Imran Uchgaonkar, Sonali Patil, Bharat Patil, Vijay Bhogan, Sneha Bhogan, Madhukar Bagewadi and others were present. Event Director of this Coaching Camp Shri Umesh Kalghatgi briefed about this Camp and welcomed all the dignitaries. Smt Lata Kittur proposed vote of thanks. We have only one swimmin pool for the entire city, why cant open spaces at extension area be converted into two more swimming pools and the cleaned water to get converted into ground water harvesting This can save lot of water during summer time. As we already see the that supply of water is less ………. Please do not use the word “Mentally Retarded”.. We can say as “Mentally challanged”. It’s a very good initiative.. truely appreciate it..